Manufacturing tech hub gives firms cutting edge? A hub set up just over a year ago to focus on cutting-edge manufacturing technologies, such as 3D printing, has helped companies in areas from dental health to clean water. Trade and Industry Ministry Permanent Secretary Loh Khum Yean gave a glimpse yesterday into the future of Singapore’s manufacturing industry at the opening of a summit on additive manufacturing, as he shared examples of projects that the National Additive Manufacturing Innovation Cluster (Namic) has worked on. Namic was formed in September 2015 to forge public-private partnerships in order to translate research in additive manufacturing into commercial applications. 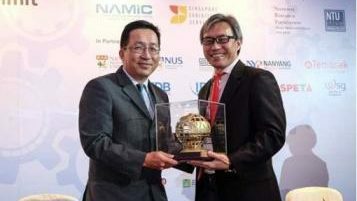 Such collaborations are key to future-proofing the local manufacturing industry, Mr Loh said.